Important: please login to PT Direct using the link that you received in the welcome message. 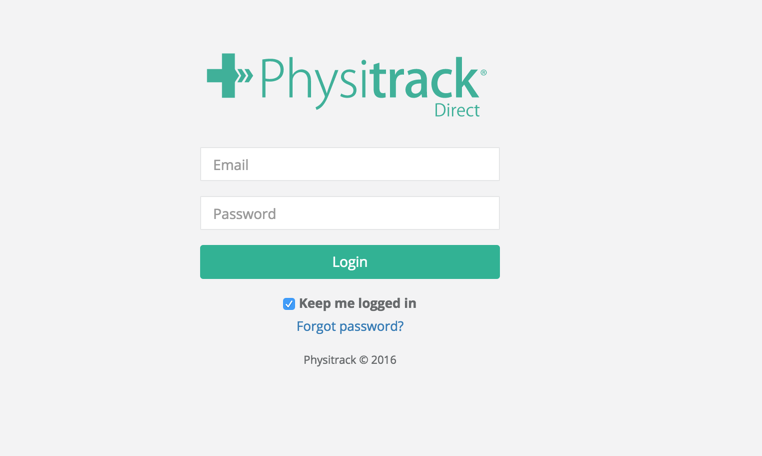 Your PT Direct credentials will not work in the normal Physitrack App. The login screen should look similar to the screen below. Your login link will be in your initial Physitrack Direct account email. The link follows a standard format, with your country initials at the start being the only variable (this is to ensure your information is stored on the correct server).